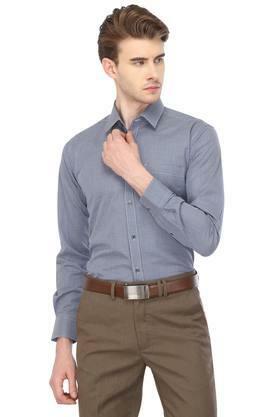 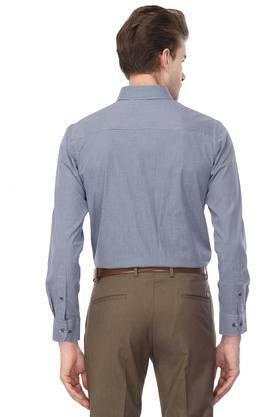 Punctuate your formal wardrobe with this shirt from Raymond. It has been made of good quality fabric, which will keep you at ease all day long. Furthermore, it features a checked pattern and perfect fit, which lends it a trendy look, while the full sleeves add to the overall design. 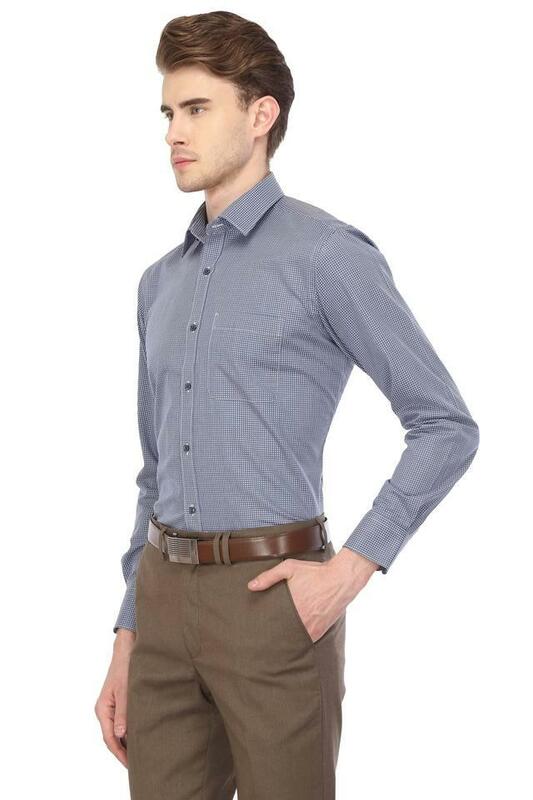 Give your formal wardrobe a stylish lift with this shirt. 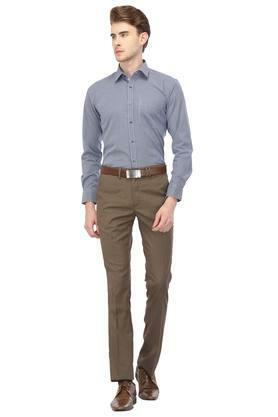 Team it up with your favourite pair of trousers and shoes for the desired look.